Here is a little smile for making it halfway through the 30 paintings in 30 days. 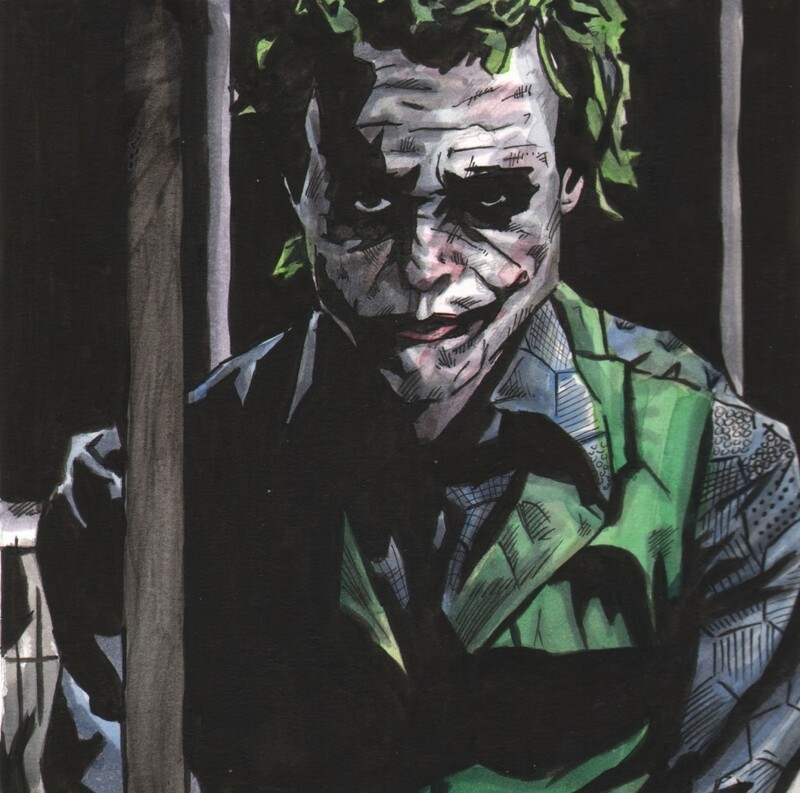 Here is one version of the Clown Prince of Crime, the Joker, as portrayed by Heath Ledger in the Dark Knight. Not only is the look very disturbing but his performance was one of the best ever. Ledger certainly stole the movie with his portrayal. But, a part of me certainly misses the funnier version of the Joker. Like Cesar Romero in the Batman 1960’s television show or how he was in the comics in the 70’s. Once the 1980’s came around the comics changed him from a guy trying to steal money and small crimes to beating Robin to death with a baseball bat. Goodbye to the classic version of the Joker. Don’t get me wrong, the comics have done some great stuff with him but they have certainly pushed him into some very uncomfortable places for us to witness. And the Dark Knight movie definitely showcased that newer version of the character.